Second to Tokyo, Osaka may be the second well-known city in Japan. 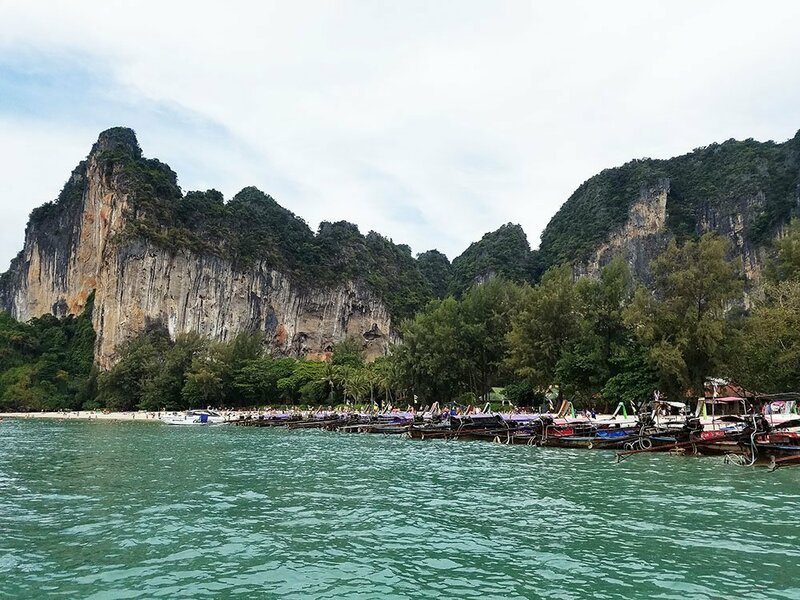 The commercial center has an astonishing 19 million citizens roaming the streets; don’t be surprised by the hoards of people especially at tourist destinations. 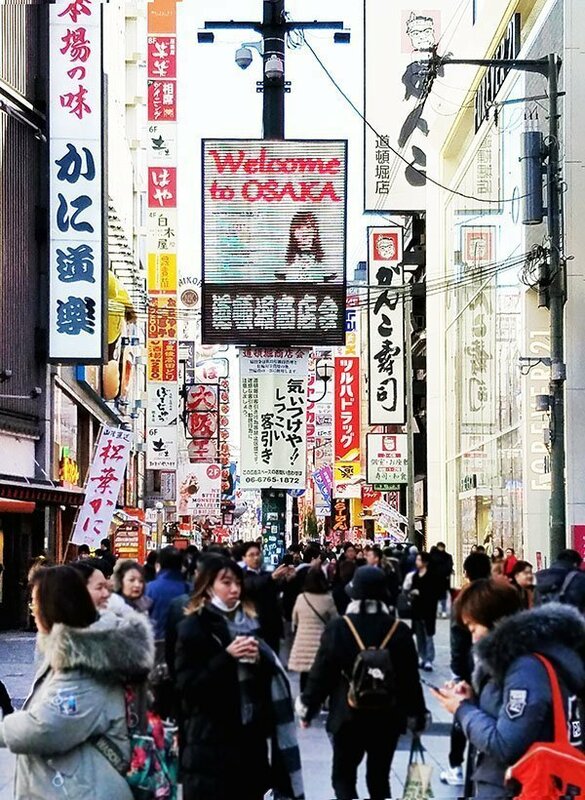 One cannot mention Osaka without speaking of Dotonbori. Dotonbori is a hub of restaurants, shops, and theaters. Visit any day of the week, any time of day and you will find crowds of people, both tourists, and locals, strolling down the promenade. I had the opportunity to stay near Dotonbori, visiting almost every day during my 4 days stay in Japan. My favorite eatery, by far, was the standing ramen shop found in 3 different stalls through the area. A large dragon stands above the shop with its bright red counters and seats. The stall in the center of Dotonbori is the busiest but the other two found at each end of the promenade is relatively empty. 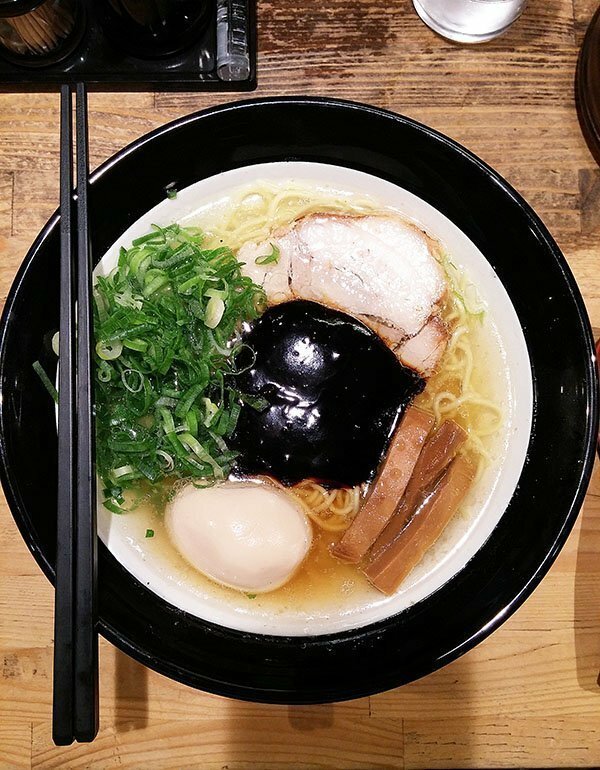 Like many other ramen restaurants, this one had a pork broth full of depth. 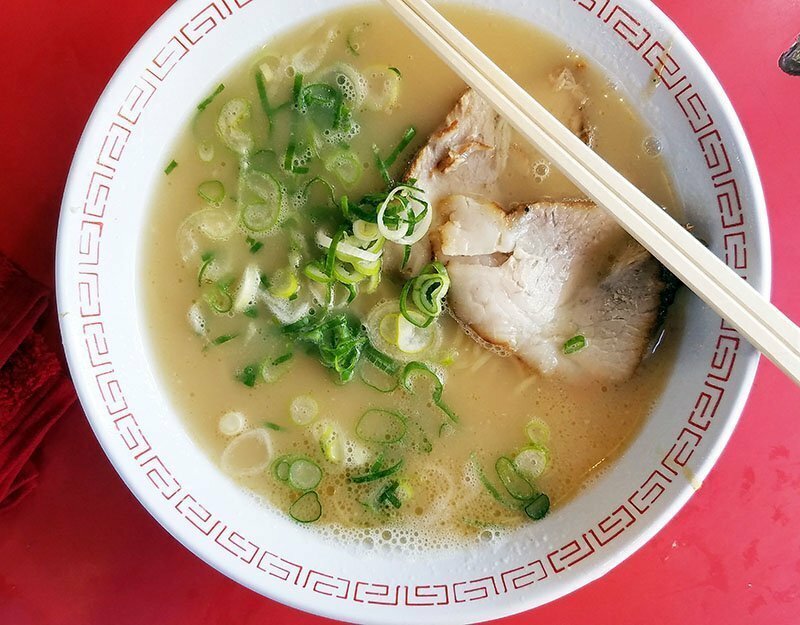 Fresh noodles in a tonkatsu broth are topped with chashu and green onions. What I found particularly interesting was the bowls of Korean kimchis served on the counter for you to add to your ramen. A little Korean Japanese fusion I dare say? 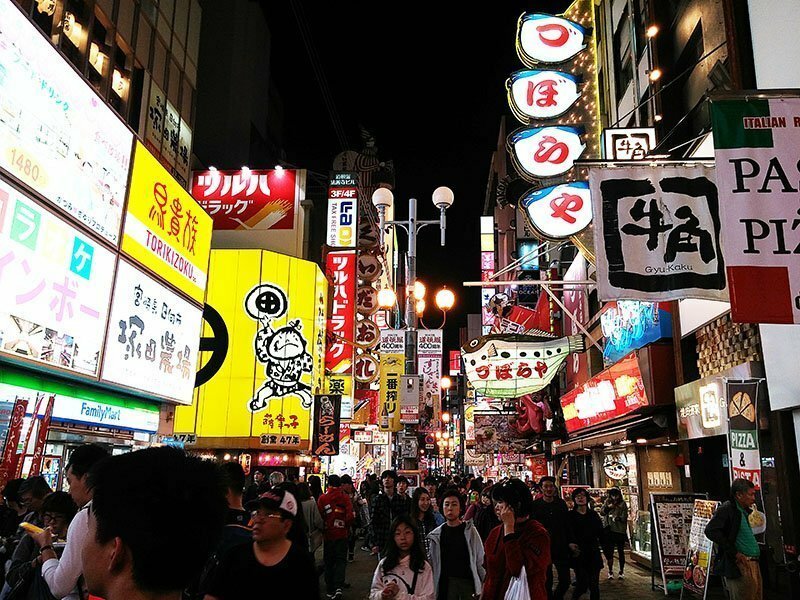 Dotonbori at night takes on a life of its own. Bright lights adorn the streets with ornaments left and right. I was extremely pleased to find Sushi Zen Mai, the very same one also found in Tsukiji Market. The quality of the sushi is just as superb. An added bonus? It’s open 24 hours a day! The number of restaurants in this downtown area is endless. 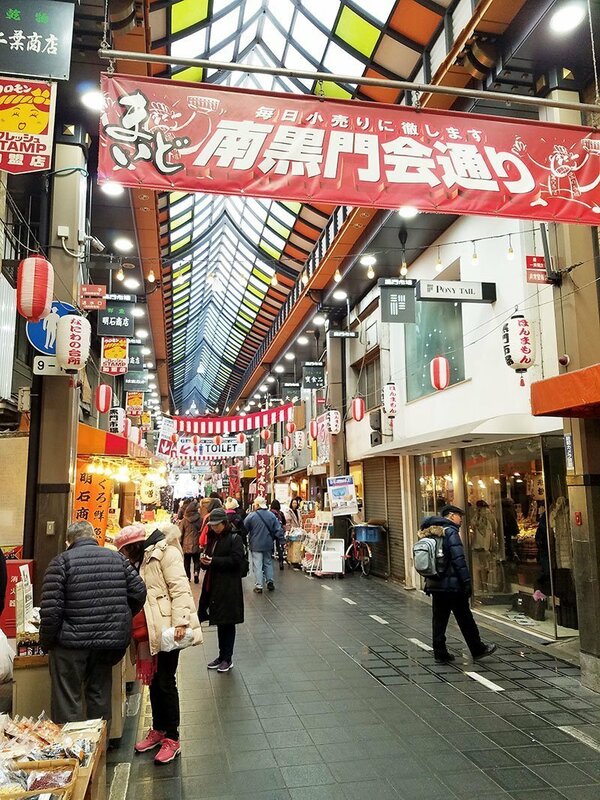 Walk down the side streets of Dontonbori and find store after store. Be prepared to arrive with empty stomachs and full wallets. 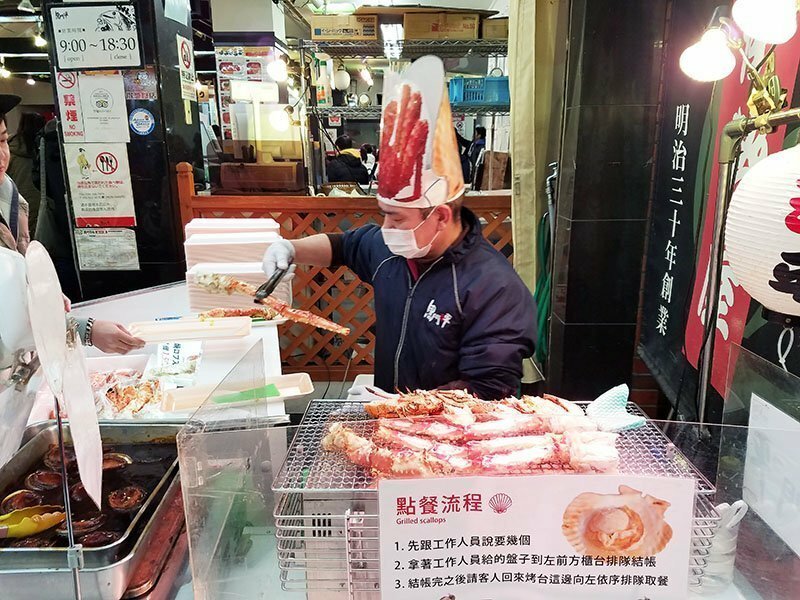 Just half a mile away from Dotonbori is my favorite location in Osaka, Kuromon Market. 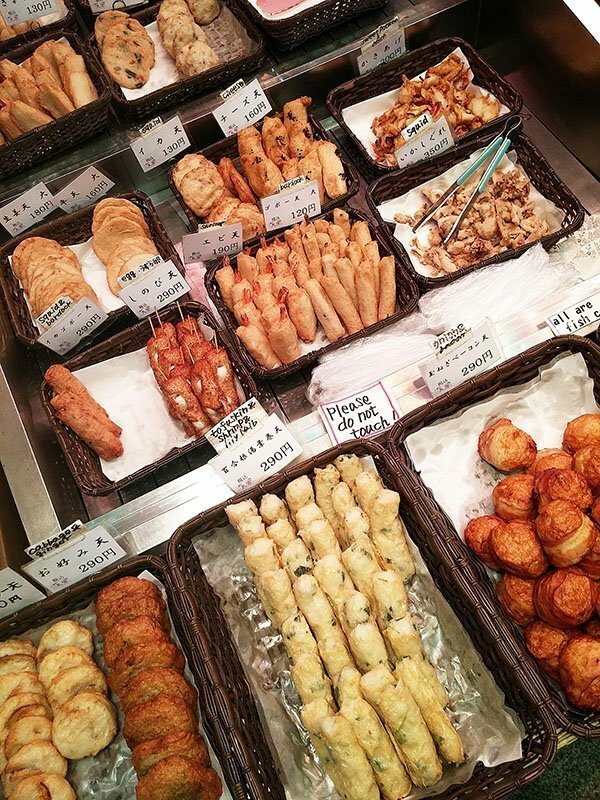 Kuromon market is comparable to Nishiki market in Kyoto but BETTER. First off, let’s start with the crab. If you don’t have the patience to wait in the 3-hour wait for the crab restaurant in Dotonbori, head to Kuromon. 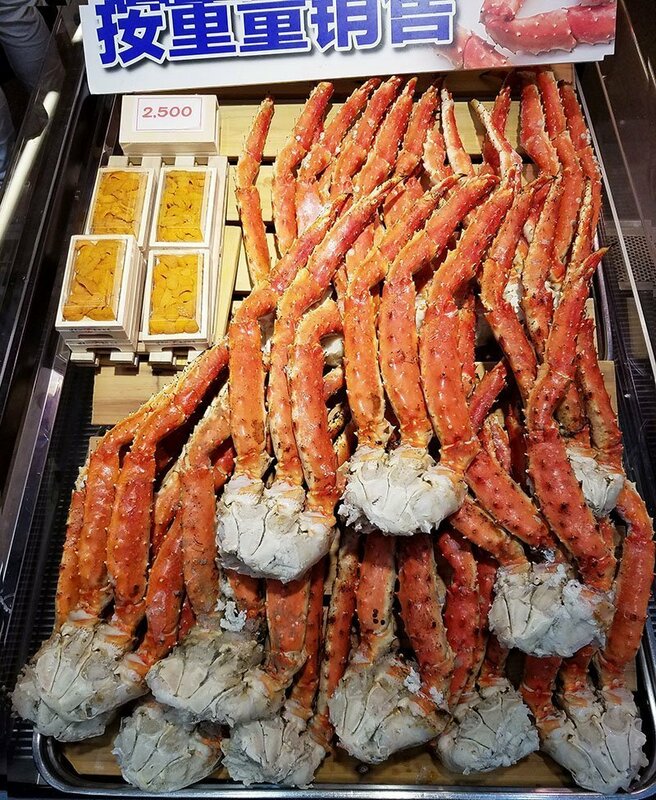 There are numerous shops that sell crab legs that are prepared fresh every day. I opted for a crab combo. 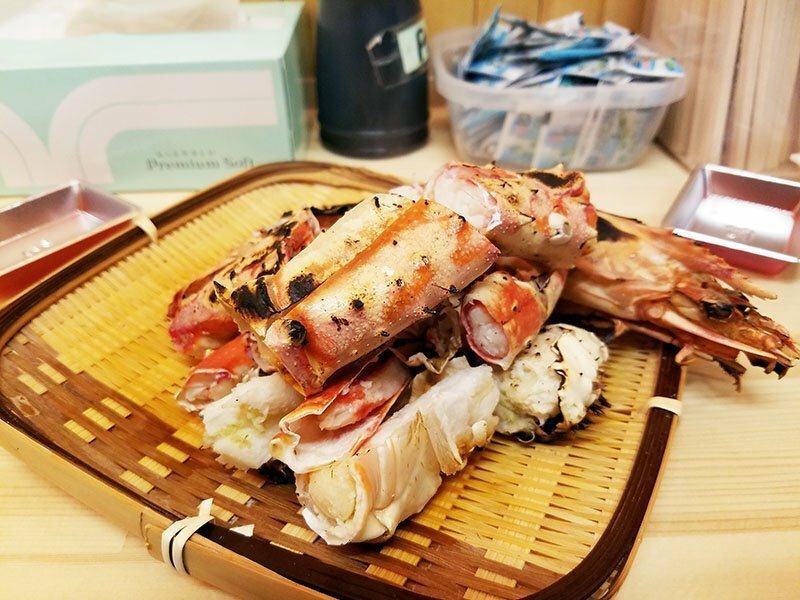 King crab legs and one jumbo shrimp are grilled and served alongside ponzu sauce. Although I chose the smallest box, it was plenty for 2 people to share as an appetizer. Pricey? Yes, at 5000 yen. However, I can say without hesitation, it was hands down the best king crab I’ve ever had. 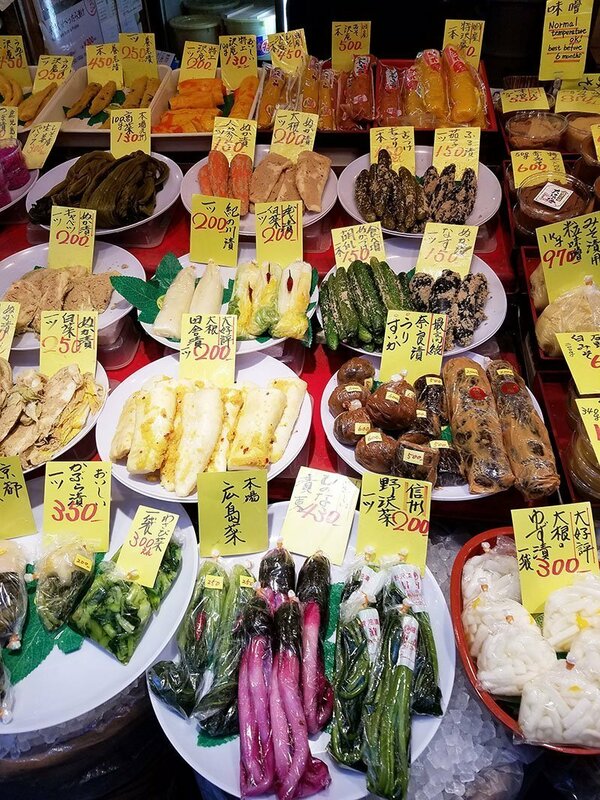 Certain stores similar to ones at Nishiki market can be found including pickled veggies, tea leaves, and grilled shellfish. Endless sushi can be found at every turn, as expected. 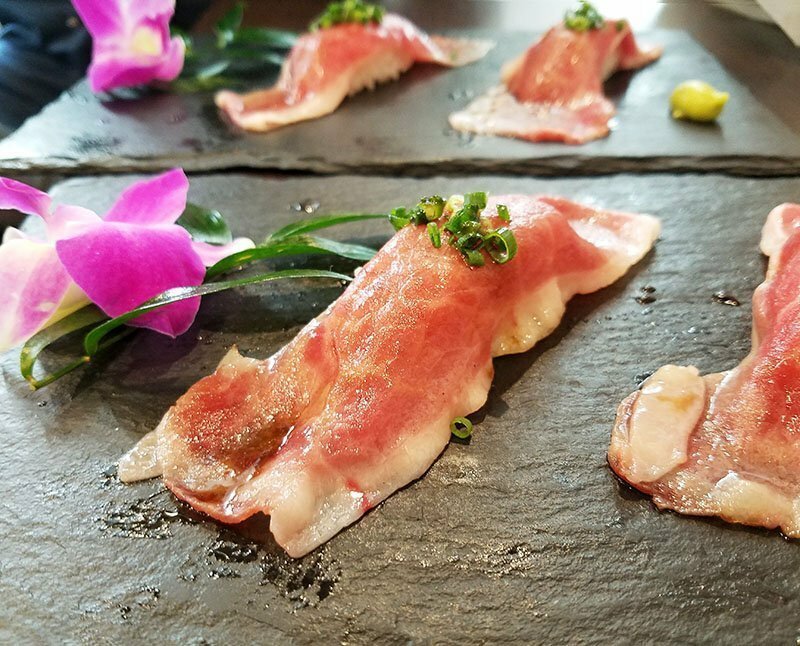 Splurge on 3 pieces of the best otoro you will ever have and you won’t regret it. The one difference I’ve noticed between Kuromon and other markets is the large selection of beef dishes. Wagyu steaks were sold at a number of stores for customers to purchase and cook at home. 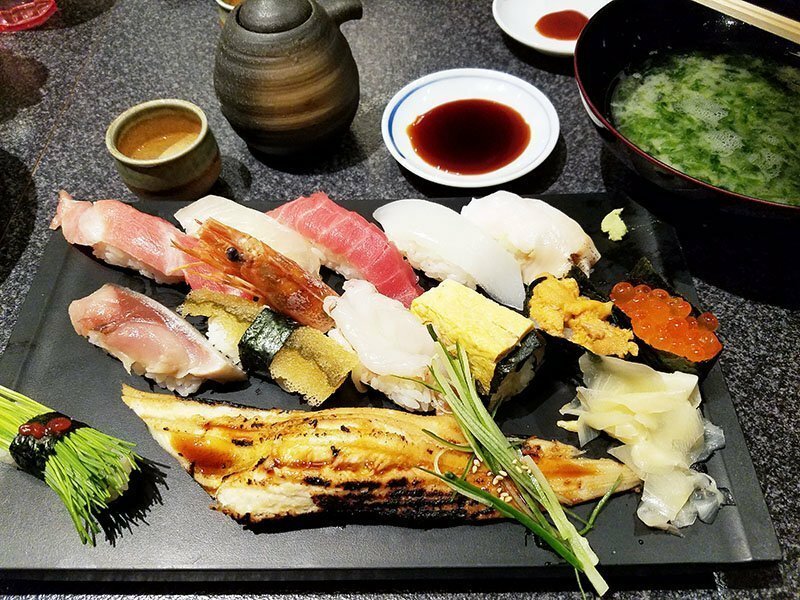 One specific dish that stood out was this phenomenal waygu sushi. Yes, wagyu sushi. 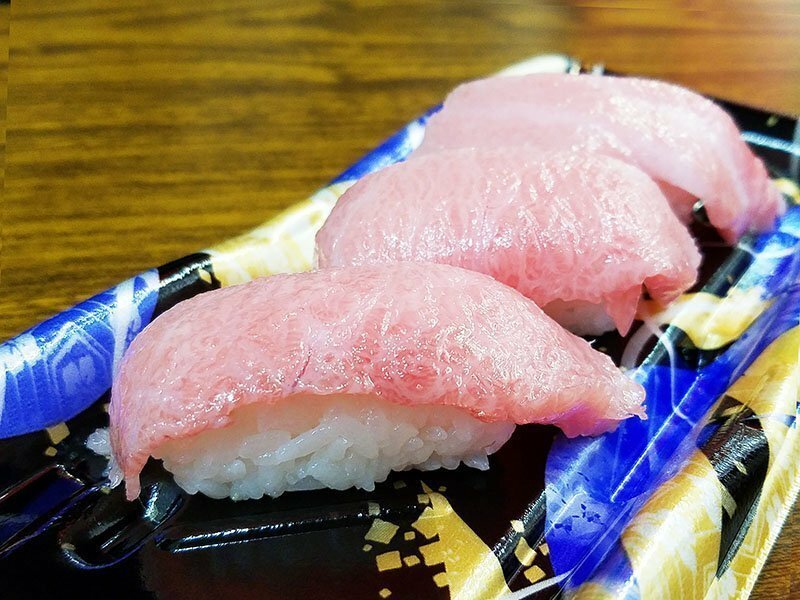 For 1000 yen you get 2 pieces of the most life-changing beef sushi you will ever have. 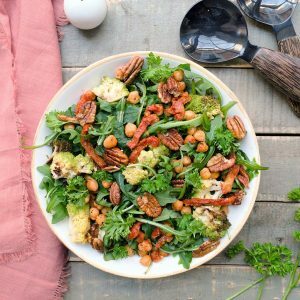 The meat just melts in your mouth, leaving a savory note on your taste buds. I will remember you forever wagyu sushi. Another favorite of mine was scallion wagyu tendon curry. Posters of this best selling dish adorn this 5 seat restaurant. My bar for Japanese curry to been set to a new high. 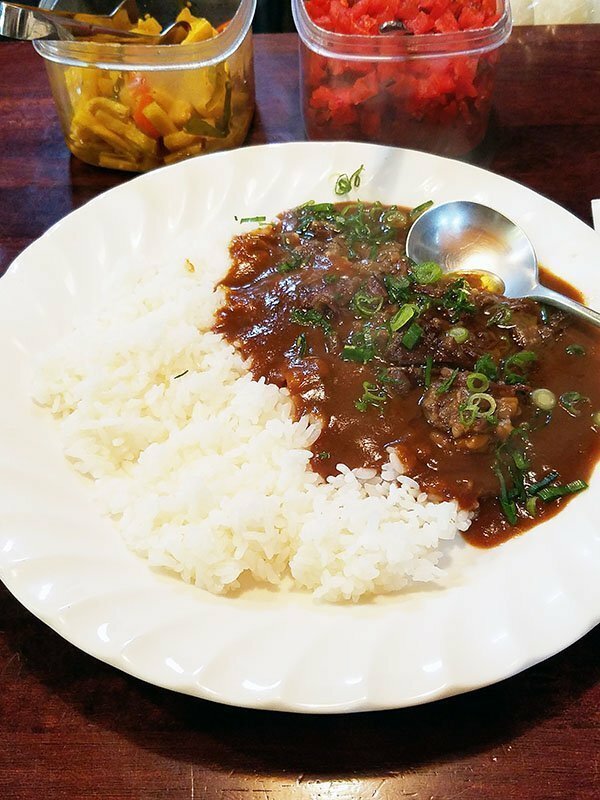 The oh-so-tender wagyu tendon swimming in a savory curry on a bed of rice…is your stomach grumbling yet? Now on to desserts! 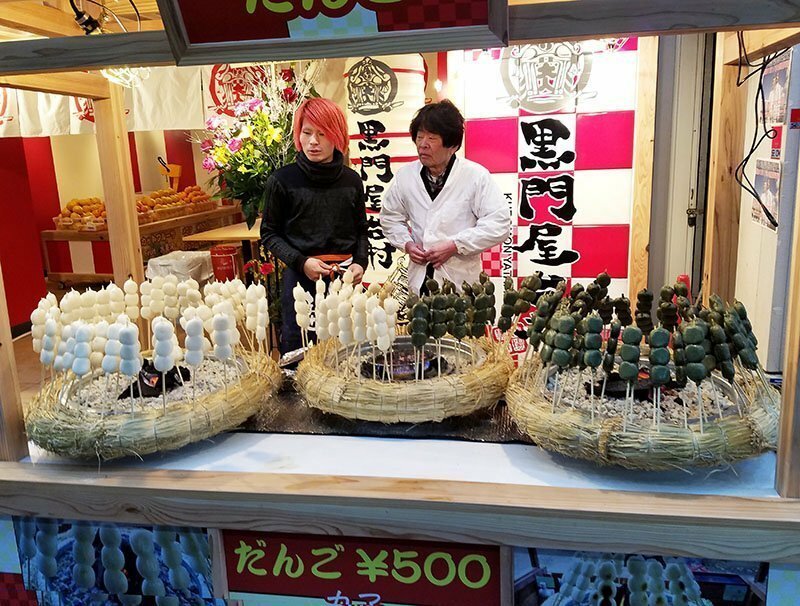 It wasn’t until my second visit to Kuromon that I stumbled the same mochi dessert in Tsukiji market. My heart did a little dance as I stood in line for probably the 5th mochi I’ve had from this business. 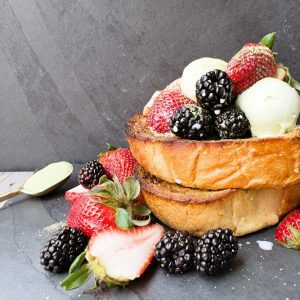 Flavors range from adzuki to yuzu to matcha. 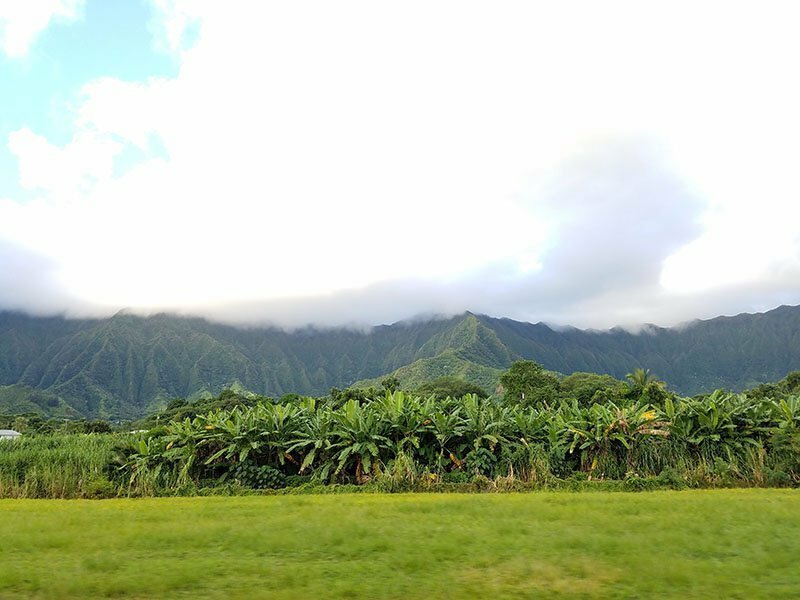 Everything you may want, they will probably have. 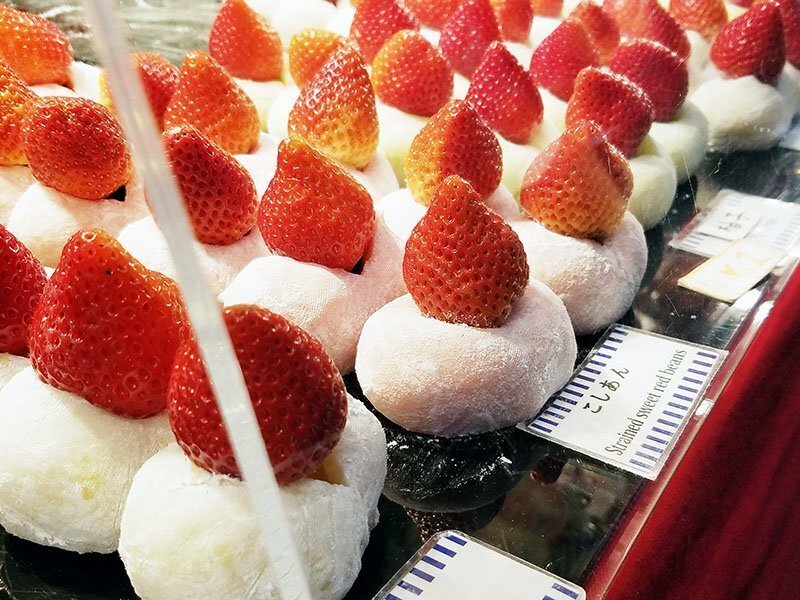 300 yen for one strawberry topped mochi. Even in the cold, I couldn’t resist some ice cream. 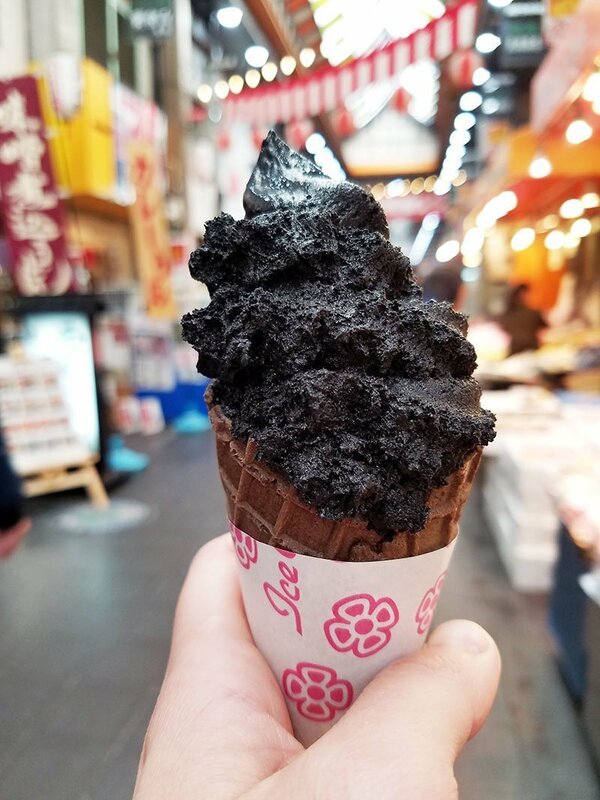 An ice cream shop at the tourist stand can be found with interesting flavors including this charcoal vanilla. I’ll admit, I was a bit disappointed that it tasted just like vanilla. It was good vanilla ice cream but, just vanilla all the same. That is until I spotted white strawberries! 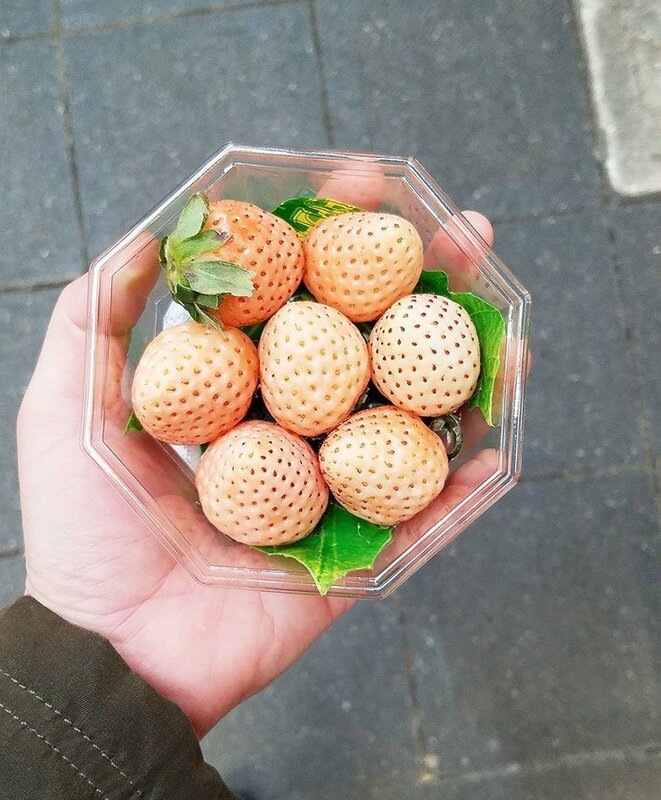 White strawberries seem to be the craze in Japan. From what I’ve heard, they are incredibly sweet and tastier than regular strawberries. At 800 yen for 6 pieces, I expected them to be phenomenal. The verdict? Delicious but I’ve had regular strawberries that were just as sweet if not sweeter at a quarter of the price. Be warned! Fruit in Japan is very expensive!